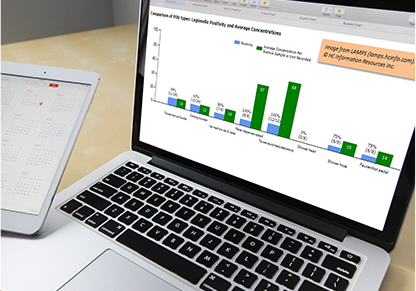 HC Info offers cloud-based software for water management plans, analytics, and training — to help you reduce disease risk and comply with ASHRAE 188, CMS, and New York Legionella requirements. If you want to protect the people in your buildings from Legionella and other pathogens, comply with CMS and ASHRAE 188, reduce your legal risk, and guard your brand–but have limited time and money–we can help you. 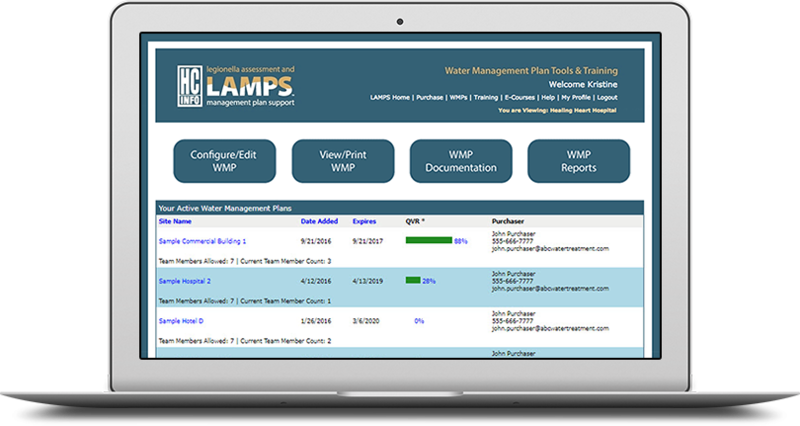 Our cloud-based application, LAMPS, makes it easy and economical to set up, document, and update a water management program (WMP). We provide high quality at low prices because we invest heavily in software and automation. 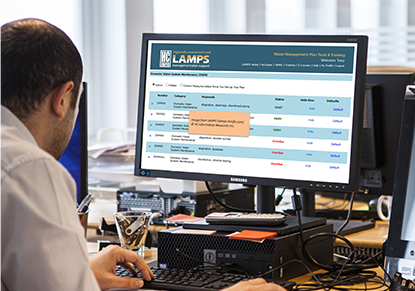 Some of the top water experts in the world regularly use LAMPS to serve their customers. If anything is incorrect or needs improvement, we find out quickly! Wide support and constant “peer review” makes your WMP more credible and defensible. What are people saying about LAMPS? 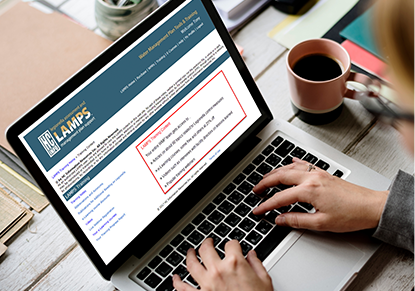 — Diane Miskowski, MPH, Legionella Subject Matter Expert, EMSL Analytical, Inc. Learn how you can keep your water safe with our economical, evidence-based water management plans. Don’t miss out on important announcements about regulations, technology, outbreaks, articles, and events! Join other professionals who stay informed via our FREE e-newsletter, Legionella e-News.